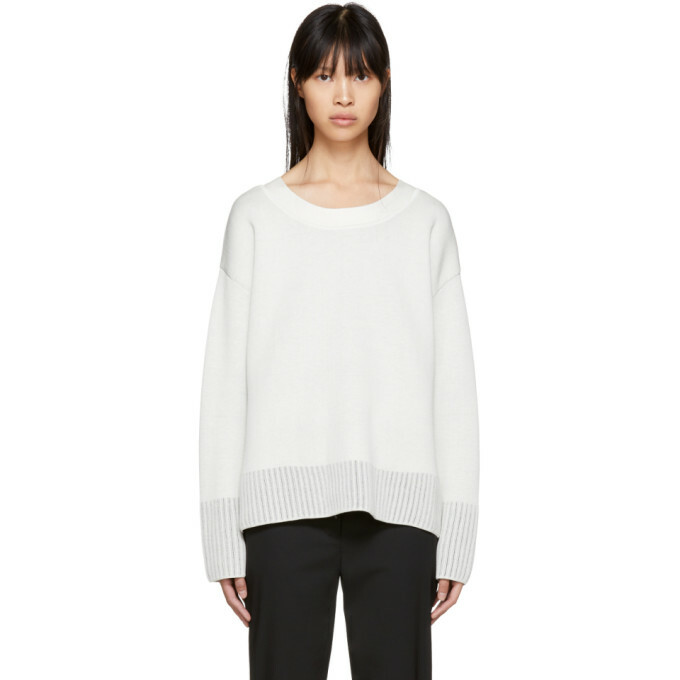 Long sleeve knit silk and cotton blend sweater in off white. Scoop neck collar. Dropped shoulders. Rib knit cuffs and hem striped in black and off white. V neck collar at back. Tonal stitching.